These prices are only available on in stock bikes. Come on in and try one out. 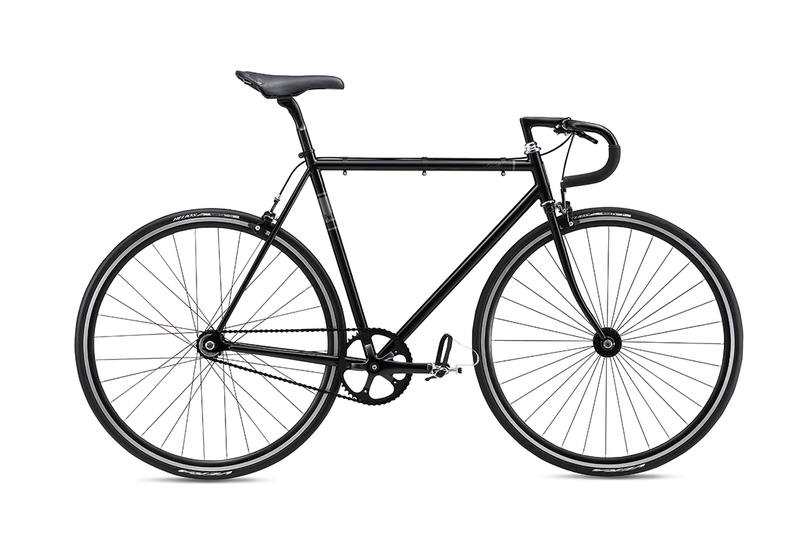 Classic track styling meets urban utility in the Fuji Feather city bike. This simple, elegant machine is designed to help you get around easily, and look good doing it. The custom drawn Elios 2 chromoly steel frame is light, durable, and fun, while the traditional track fork gives the bike nimble handling. A flip flop hub puts a fixed gear cog on one side, and a freewheel on the other so you can choose your riding style. 700x25mm tires give you some extra traction on the road–especially important for wet days, as well as a Phalanx flat protection to help keep you rolling, no matter what is on the road. Front and rear caliper brakes make stopping easy and reliable in any riding conditions. Are you looking for a little more speed on your daily commute? Then the Lager is for you. It features a Cr-Mo seat tube, integrated seat clamp, high-profile rims, high-flange alloy fix/free hubs, high-end alloy cranks, alloy bullhorn bars, and Freedom Thick Slick Sport tires. The Lager ranks supreme on the streets. The Draft Lite comes equipped with alloy cranks, a high-flange fix/free flip-flop hub, and high-profile, double-wall rims. The removable SE cable clips allow for a smooth & clean frame if the brakes are removed and it’s ridden as a fixed gear. Single speed or fixed, the Draft Lite has got it goin’ on. The Fuji E-Traverse 2017 was the first year Fuji had this bike available and we were able to scoop one of the last ones for a great price. We would love to see this bike go to a good home so stop on in for a test ride anytime. The Yuba Spicy Curry has sprinted onto the electric cargo bike scene in 2016, winning the Eurobike Gold award for utilitarian bicycles among other accolades from every part of the cycling industry. The Spicy Curry takes a slightly different approach to the long tail cargo bike with a 20 inch rear wheel and a mid drive electric kit from Currie technologies. The Spicy Curry frame comes with a lifetime warranty and features a low-rider cargo rack and a 20-inch rear wheel that lowers the bike’s center of gravity, providing a stable and safe platform for your payload. Child seats mount securely to the rear rack, allowing moms and dads to pedal kids to the park or school while getting some fresh air and exercise. Older passengers can sit on the rear by adding a Yuba Soft-Spot seat pad and Hold-On or Mini Monkey Bars. The stock Hydraulic disc brakes and LED light set makes this a solid, safe, and really enjoyable bicycle for any member of the family any day of the week. The Breezer Downtown EX is a classic chro-moly steel town bike. 700C wheels, equipped with matching fenders and chainguard, rear rack, kickstand, and bell make the Breezer Downtown EX the perfect choice for anyone looking to get around town in style. We have one these left and would love to see it go to a good home for a great price. Stop in today for a test ride. The Breezer Downtown 8 is a great steel commuting machine We have two step through beauties left in stock. A super solid bike with a low to no maintenance internal hub and full fenders for those gnarly commutes. Stop in and take this off our hands for a great low low price. 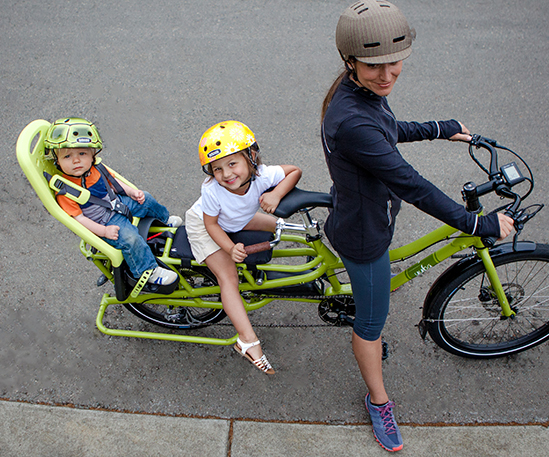 The Breezer Greenway step through hybrid bikes were some of our favorite daily commuters. 700c wheels with plenty of room and mounts for a cargo rack and accessories make this an ideal bike for your everyday needs. Our stock of the greenways is limited to a handful of step through models so stop on in today to grab one at a great price. The Breezer Downtown 8 is Breezer’s classic chro-moly steel town bike. 700C wheels, equipped with matching fenders and chainguard, rear rack, kickstand, and bell make the Downtown 8 the perfect choice for anyone looking to get around town in style. Available in eight sizes with a sprightly town bike geometry and the 8 speed internal hub the Breezer Downtown 8 is a great low maintenance bicycle with just enough gears, bells and whistles to make every ride enjoyable and comfortable. Stop in anytime for a test ride on one of our favorite Breezer bikes. The Breezer Downtown EX is a classic chro-moly steel town bike. 700C wheels, equipped with matching fenders and chainguard, rear rack, kickstand, and bell make the Breezer Downtown EX the perfect choice for anyone looking to get around town in style. Available in eight sizes with a sprightly town bike geometry the Breezer Downtown EX is a great low maintenance bicycle with just enough gears, bells and whistles to make every ride enjoyable and comfortable. Stop in anytime for a test ride on one of our favorite Breezer bikes. A great all around town bike for commuting or recreation. Has the ability to take wide tires and fenders. 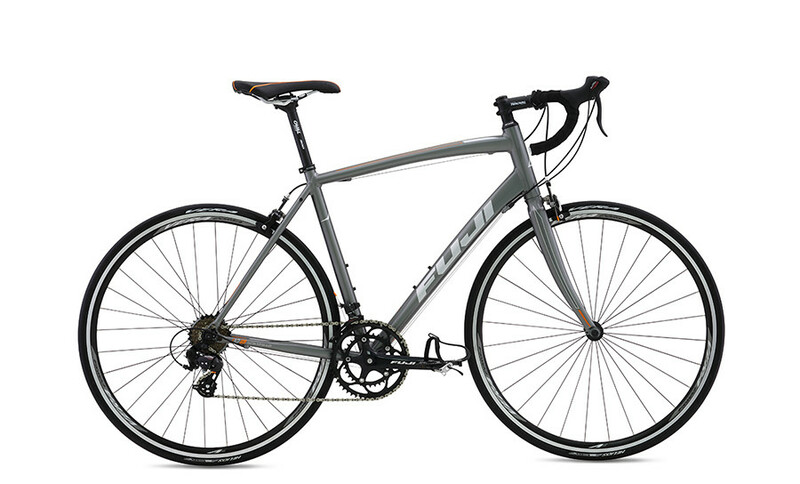 The Fuji Sportif 2.5 joins our collection of budget road bike for the 2016 spring season. The sportif is a great option for anyone looking to purchase an entry level road bike without sacrificing quality components. The aluminum frame and fork as well as light weight wheels make the sportif feel quick and snappy whether your on a paved trail or just cruising through the city. Stop in today for a test ride. WEIGHT, LB./KG. 23.23lbs. / 10.56kg. Engineered with Felt’s lightweight FLite aluminum frame and a carbon fiber fork, the Felt Z100 is boosted with features for added endurance capabilities. The dependable and precise Shimano drivetrain and Felt’s Road RSL3 wheels give you the extra efficiency you crave. Get more speed, power and all-day endurance with the Z100. Whether you’re heading out to your weekly local race or gearing up for a tour through the closest mountain range, the GTR Alloy is the perfect blend of workhorse and performance that you need to get it all done. Built with lightweight, hydroformed aluminum tubing and smooth welds, it’s as strong as it is fast. Add to that internal cable routing and a superior power transfer, and you’re ready to take your bike around the world.